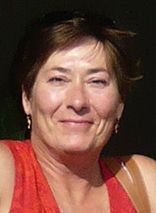 Patricia Perry was born in Germany and moved to the United States as a child. She holds a degree in biology from Southern Connecticut State University and has been employed as a Seafood Inspector for many years. Ms. Perry volunteers at local animal shelters and has worked with abused and neglected animals. Ms. Perry is a founding member of Authors Without Borders, a consortium of local authors dedicated to their craft and helping aspiring writers achieve their goals. She is also a host, producer and director of “Authors Without Borders Presents…” a monthly local cable program.